Make or build parts on metal working equipment. Machine parts on equipment found in the industry, such as engine lathes, milling machines, and state-of-the-art (CNC) Computer Numerical Control machines. Receive industry-recognized certifications from (NIMS) National Institute for Metalworking Skills. Acquire the knowledge needed to enter into employment, apprenticeship programs, and/or post-secondary education. 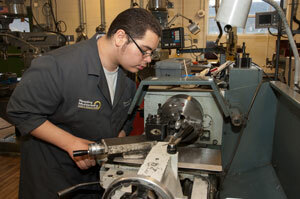 Position yourself to work in an in-demand, highly skilled, high-paying machining career. My career in precision machining started when I enrolled in a machine shop class at Seneca Vocational High School. 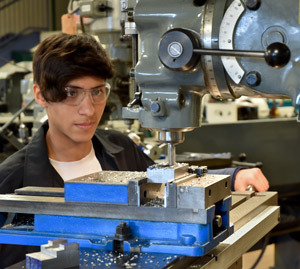 After completing the program and graduating from high school, I started working in the machining industry, gaining new skills at different companies. Because of my experience and knowledge in the machining industry, I had the opportunity to teach Machine Shop Technology to adults and high school students. 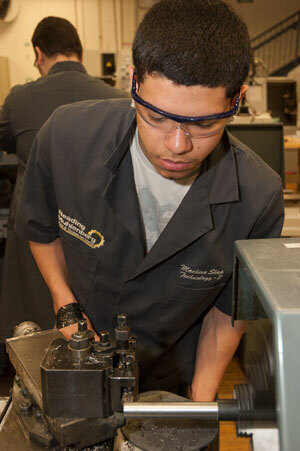 I returned to the machining industry for several years before coming to Reading Muhlenberg CTC. I am pleased to have the opportunity to return to education, where I can pass on the skills and knowledge needed for a rewarding career in the machining industry. 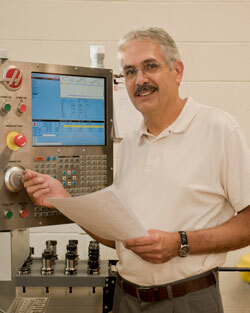 I have over 35 years of experience in machine technology as a machinist or teacher.